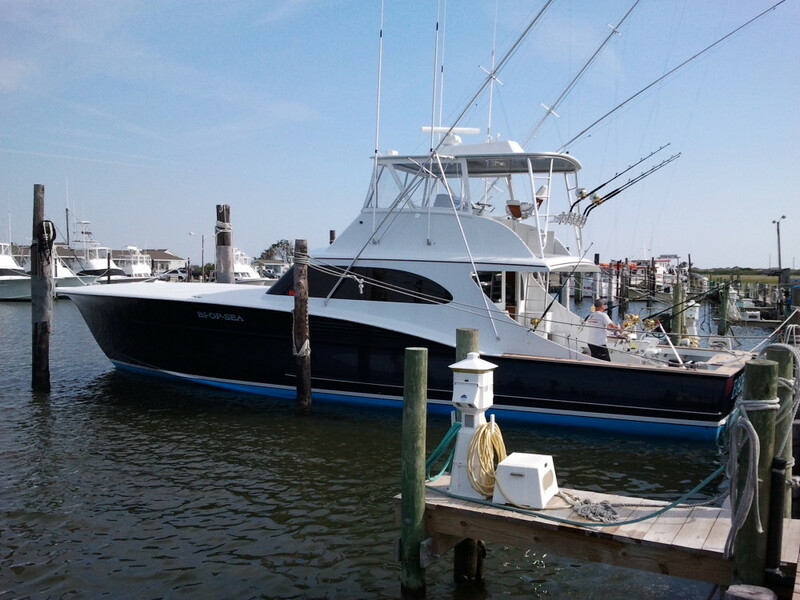 Soon after winning the Pirates Cove Billfish Tournament, Capt. 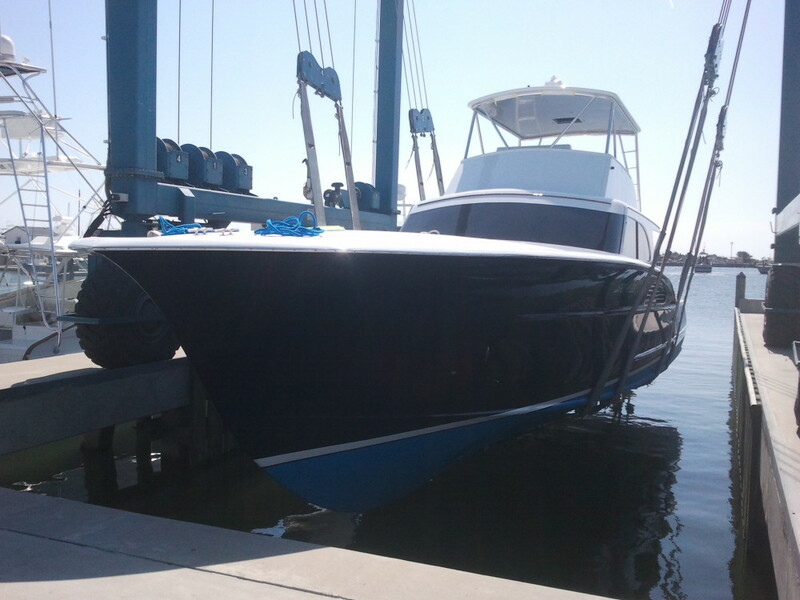 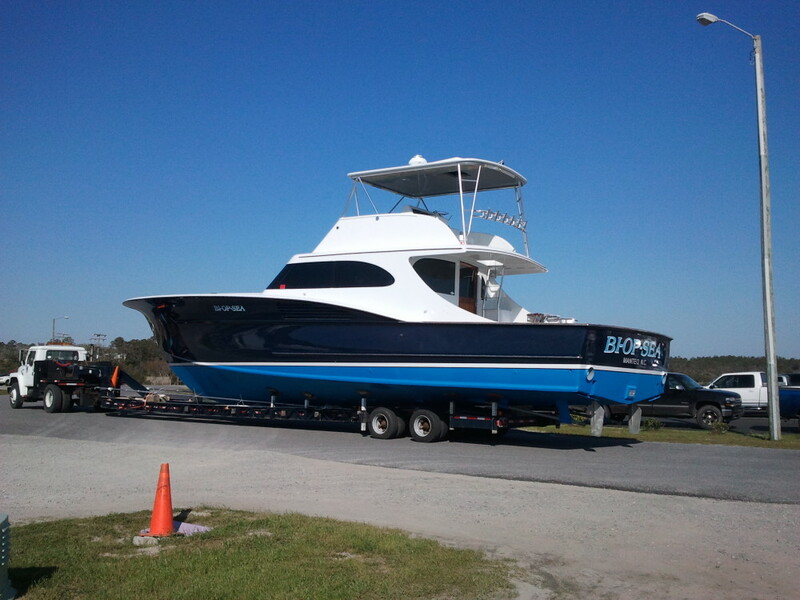 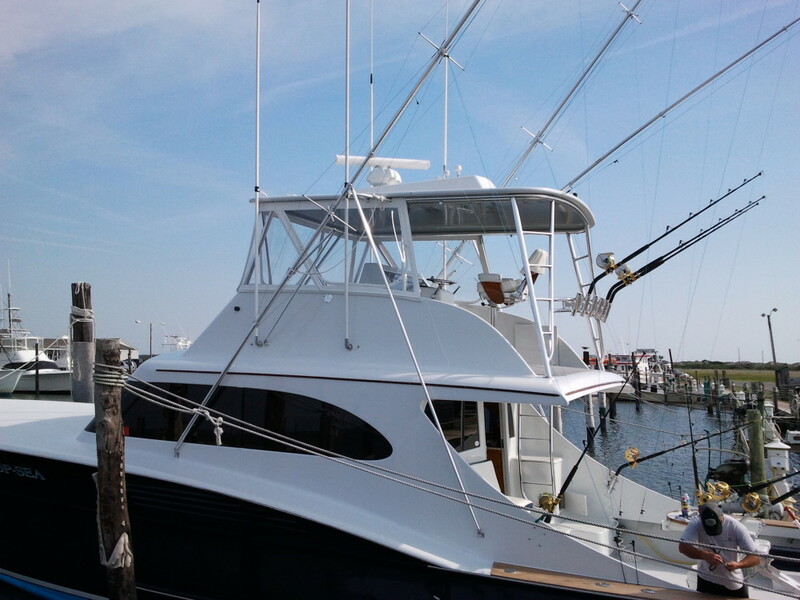 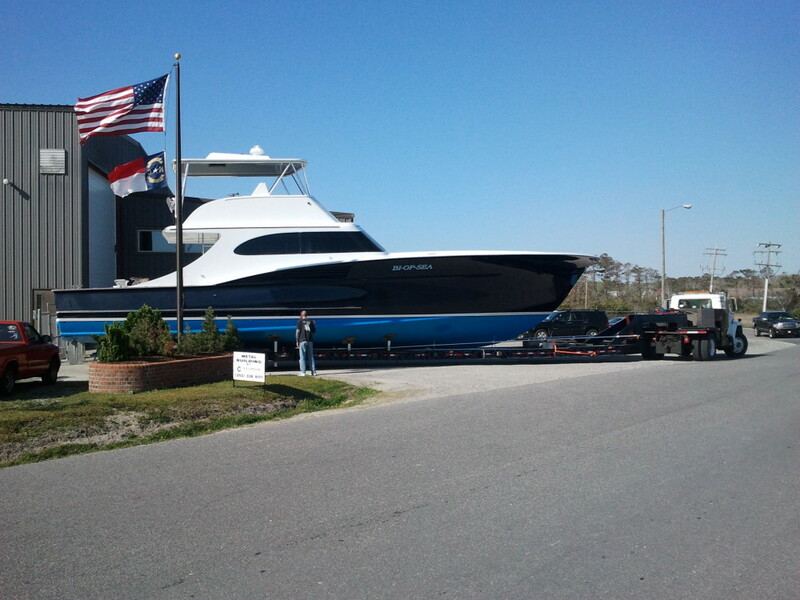 Jesse Granitzki contacted us at Harrison Boatworks about doing a major refit of the Biopsea, Paul Spencer’s first boat. 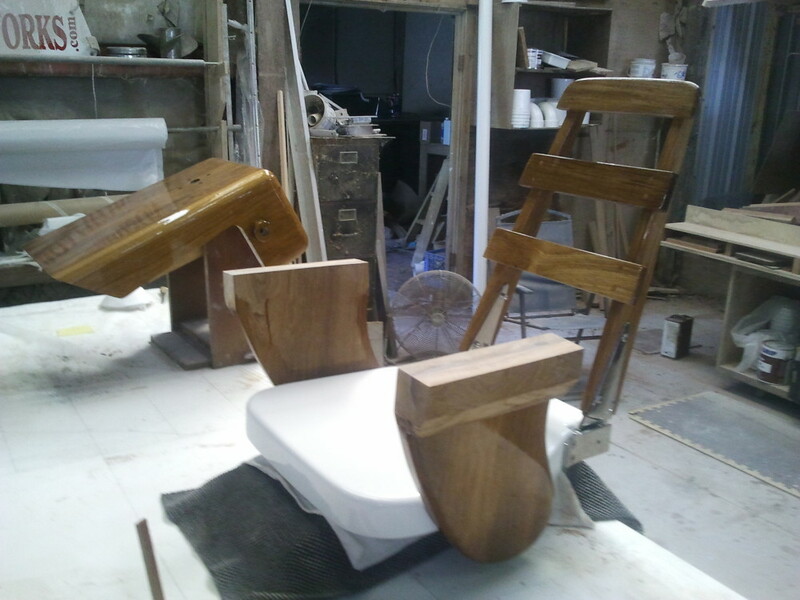 Like many other refits, the list of things the owners wanted done started to grow even before I began work. 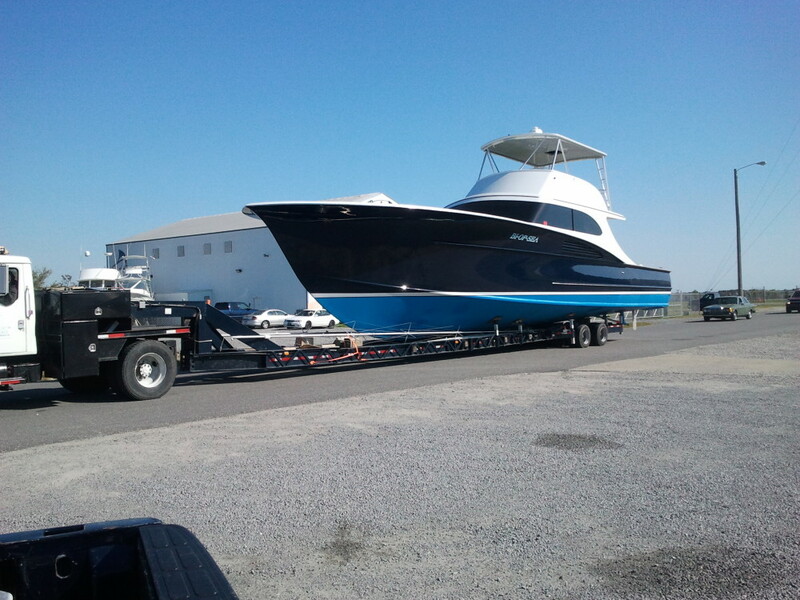 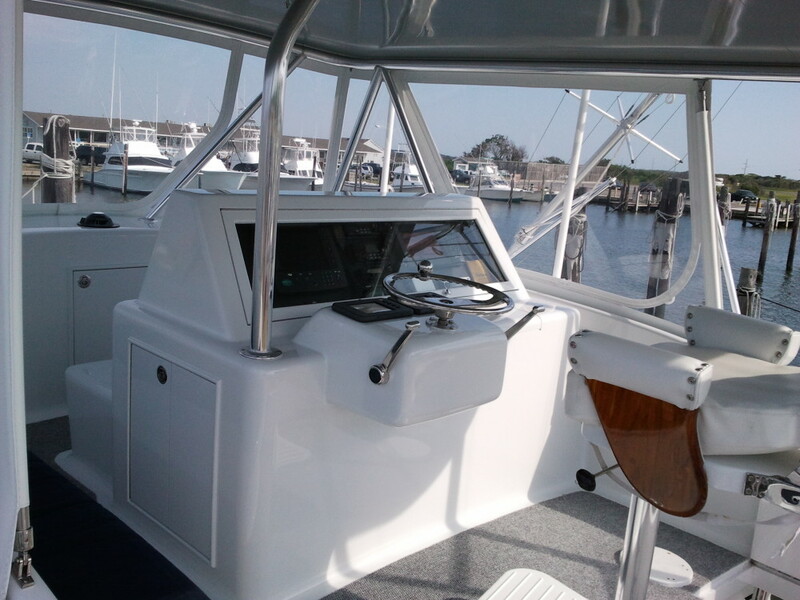 The major components of the job included a new console, a new hardtop with radar coffin and recessed teaser reels, and new hardtop support and curtains. 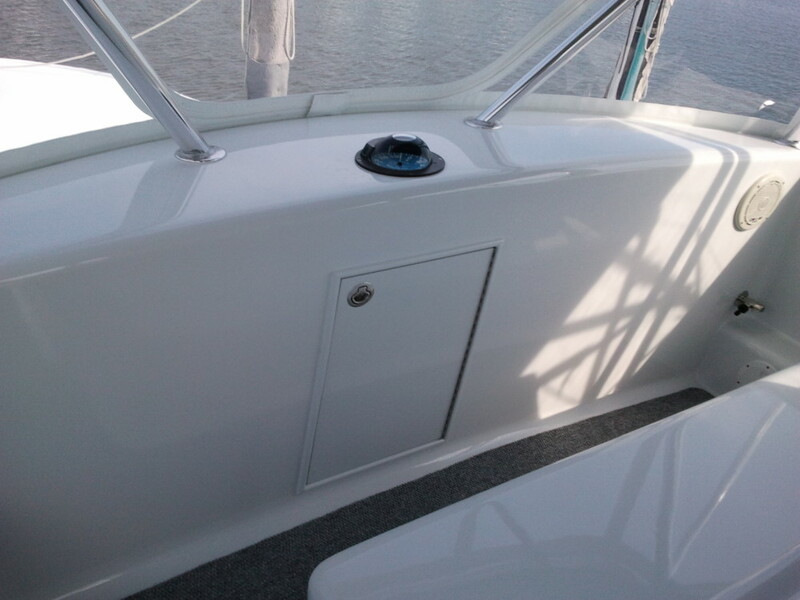 As construction of the console and hardtop were well underway we began addressing areas that were in need of attention. 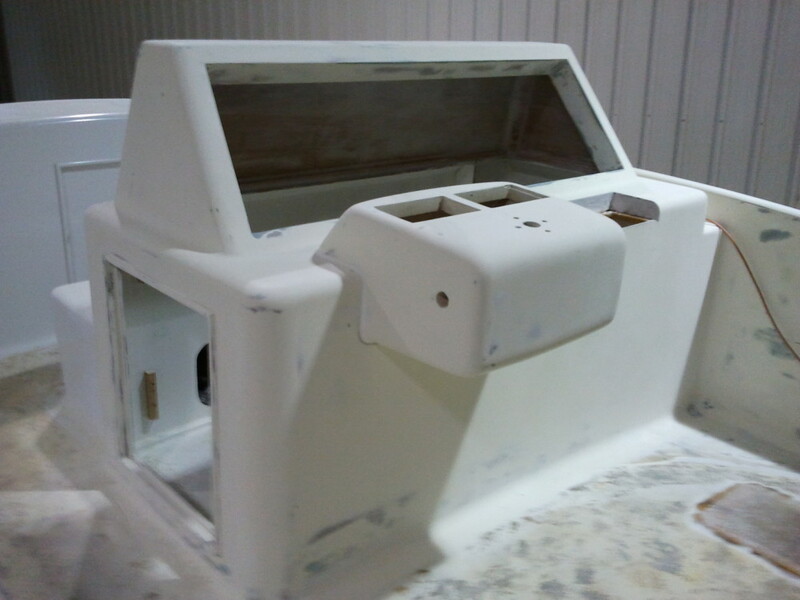 This included grinding, glassing and buildup in preparation for a total paint job. 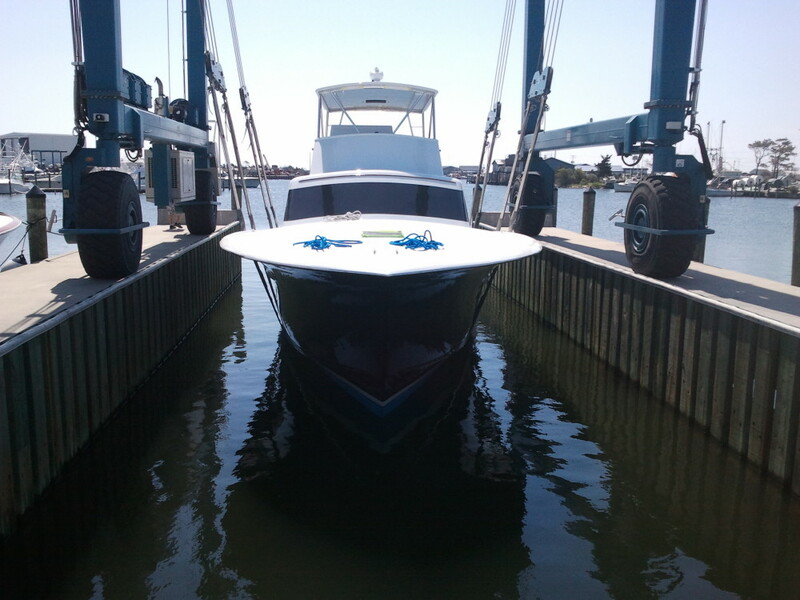 Next it was time to haul the boat and start disassembling riggers, hardtop support, rubrail, etc. 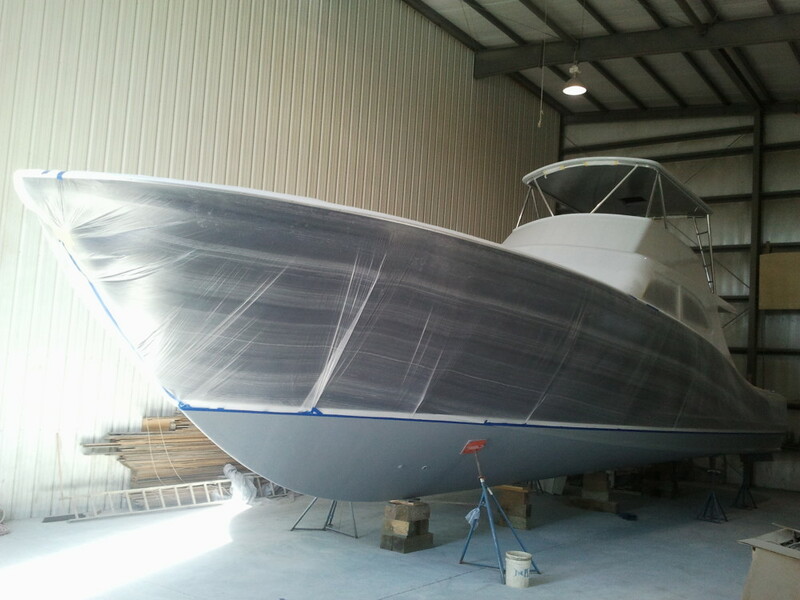 While still in the yard we had the bottom sandblasted in preparation for a complete bottom job. 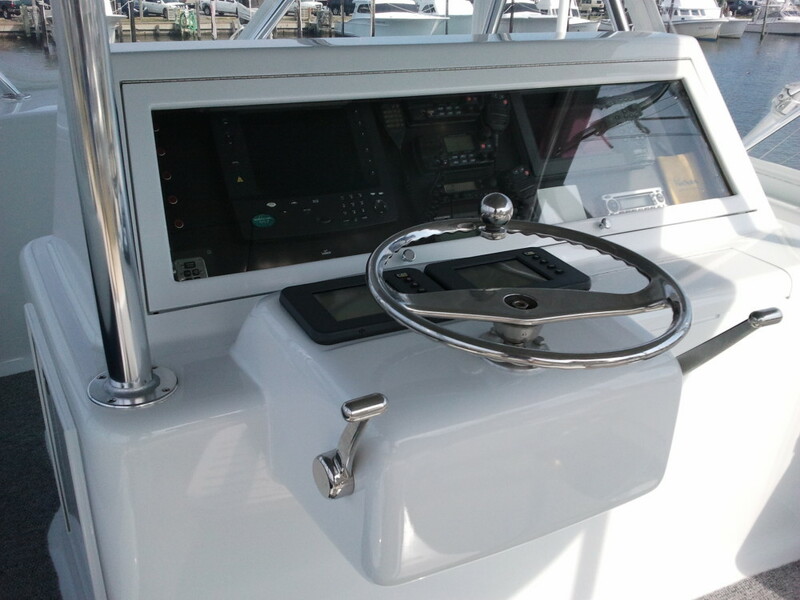 As soon as we entered the boat shop, I began fitting the console and working on the bridge area while my crew was sanding and preparing for primer. 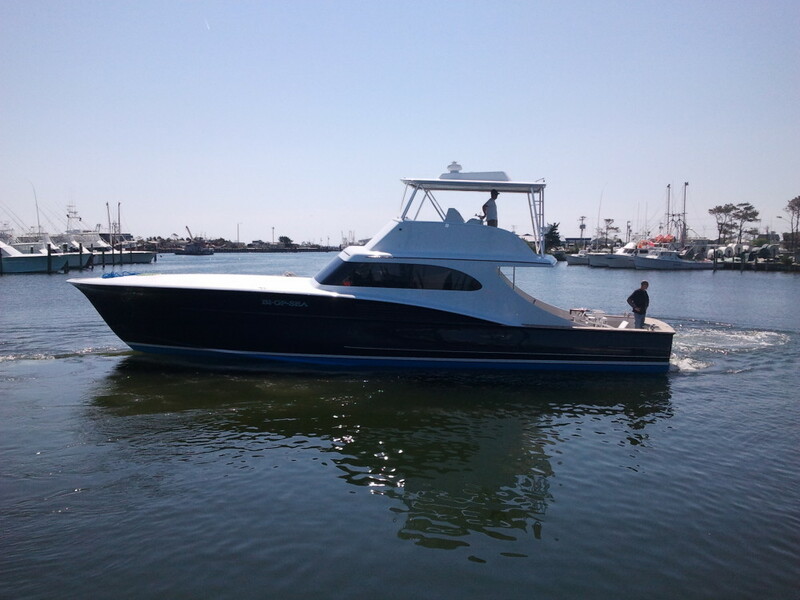 As it would happen, things came up and additions were made to my list, including the replacement of the mufflers and exhaust tubes, which entailed cutting sections out of the cockpit deck and repairing deck supports. 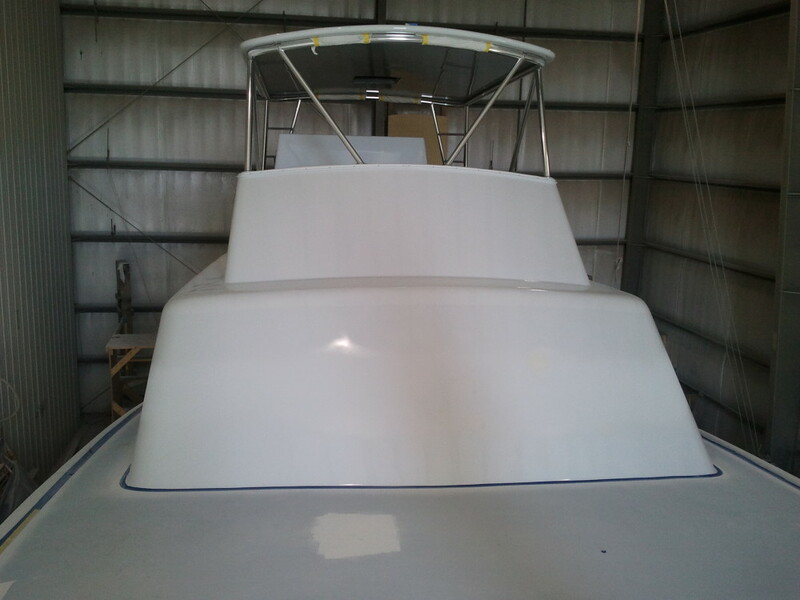 As well, the decision was made to change the windshield to a black windshield instead of white. 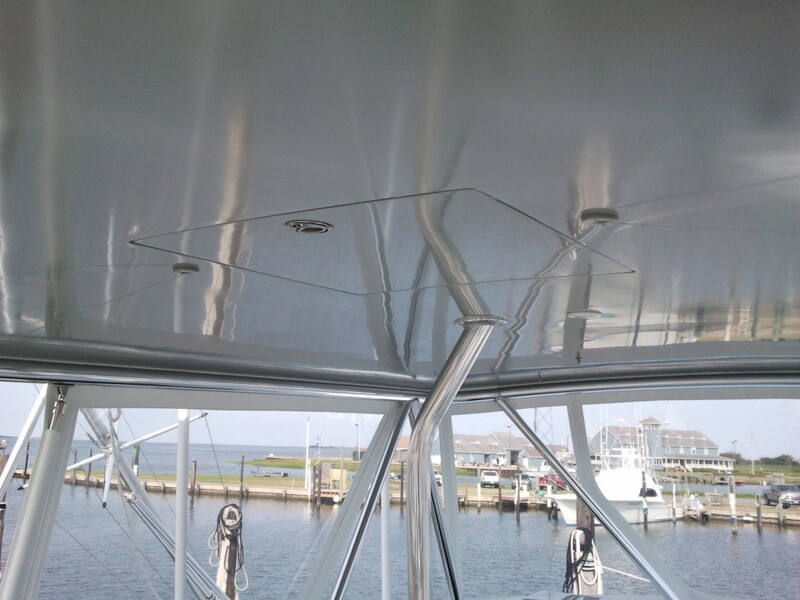 We also did repairs on the guards and totally glassed the sprayrails before applying three coats of Interlux microplates, which seals up and protects the fiberglass and is a good primer for the anti-fouling paint. 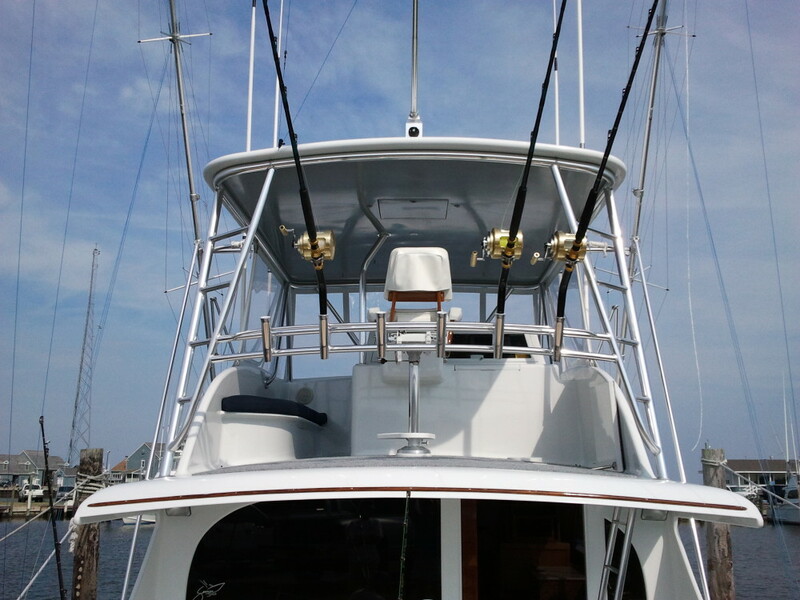 We also installed new outriggers, and I custom built a helm chair to match the existing chair. 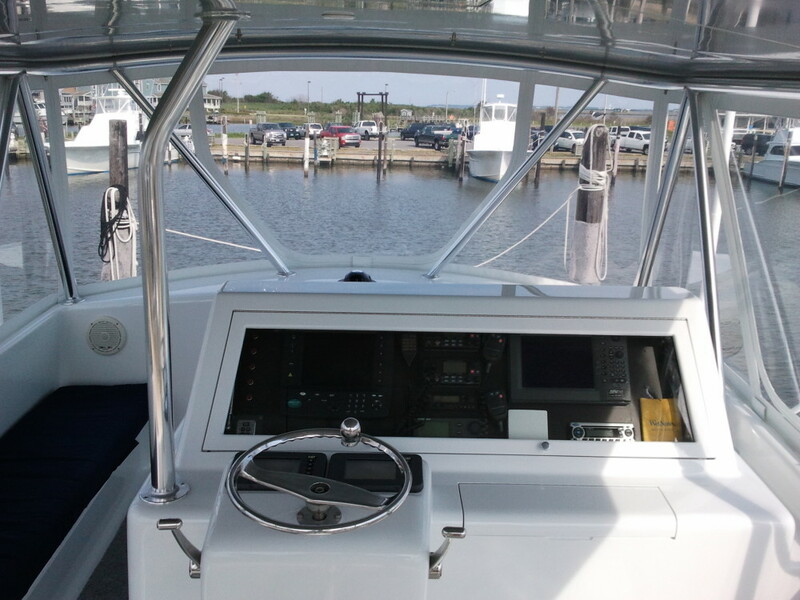 With the Biopsea’s busy charter schedule we were facing rigid time constraints throughout the project, and although there were many add-ons, we still got the project done on time and within the budget.